In this lecture, we read together the introduction to Bauman’s landmark work, Modernity and the Holocaust. Bauman’s work raises some of the key topics we will be looking at in this module: is the Holocaust an outgrowth of European civilization (what Bauman terms ‘modernity’) or is it a dreadful aberration? To what extent is it possible to trace and account for the origins of antisemitism in European culture? And how does that antisemitism relate to the Holocaust? What are the limits of what we can know about the Holocaust? How should we respond to it as scholars? Bauman does not give us easy answers to these questions, but examines them in detail and gives us some interesting ways of approaching them. In particular, we looked at what Bauman’s ideas might have to say to us about music history. Eberhard Jäckel and Jürgen Rohwer, eds., Der Mord an den Juden im Zweiten Weltkrieg. Entschlußbildung und Verwirklichung (Stuttgart: Deutsche Verlags-Anstalt, 1985). Hans Mommsen, “Cumulative Radicalisation and Progressive Self-Destruction as Structural Determinants of the Nazi Dictatorship,” in Stalinism and Nazism: dictatorships in comparison, ed. Ian Kershaw and Moshe Lewin (Cambridge; New York: Cambridge University Press, 1997), 75-87. Uwe Dietrich Adam, Judenpolitik im Dritten Reich (Düsseldorf: Droste Verlag, 1972). Ulrich Herbert, ed., Nationalsozialistische Vernichtungspolitik 1939-1945: Neue Forschungen und Kontroversen (Frankfurt: Fischer Taschenbuch Verlag, 1998), English translation under the title National-Socialist Extermination Policies: Contemporary German Perspectives and Controversies (New York: Berghahn Books, 2000). Omer Bartov, “Defining Enemies, Making Victims: Germans, Jews, and the Holocaust,” American Historical Review 103 (1998): 771-816. Henry R. Huttenbach, “Locating the Holocaust on the Genocide Spectrum: Towards a Methodology of Definition and Categorization,” Holocaust and Genocide Studies 3 (1988): 289-303. Uwe Backes, Eckhard Jesse, and Rainer Zitelmann, eds., Die Schatten der Vergangenheit: Impulse zur Historisierung des Nationalsozialismus (Berlin: Propylaen, 1990). War crimes files revealing early evidence of Holocaust death camps that was smuggled out of eastern Europe are among tens of thousands of files to be made public for the first time this week. The once-inaccessible archive of the UN war crimes commission, dating back to 1943, is being opened by the Wiener Library in London with a catalogue that can be searched online. Access to the vast quantity of evidence and indictments is timed to coincide with the publication on Tuesday of Human Rights After Hitler: The Lost History of Prosecuting Axis War Crimes by Dan Plesch, a researcher who has been working on the documents for a decade. The White House raised eyebrows on Friday when it issued a statement to commemorate International Holocaust Remembrance Day, the anniversary of the liberation of Auschwitz, that did not mention Jews, Judaism or antisemitism. The Holocaust was the systematic genocide of European Jewry by Adolf Hitler and Nazi Germany. More than six million Jews were murdered, along with Gypsies, gay people, political dissidents and others that the Nazi regime found undesirable. 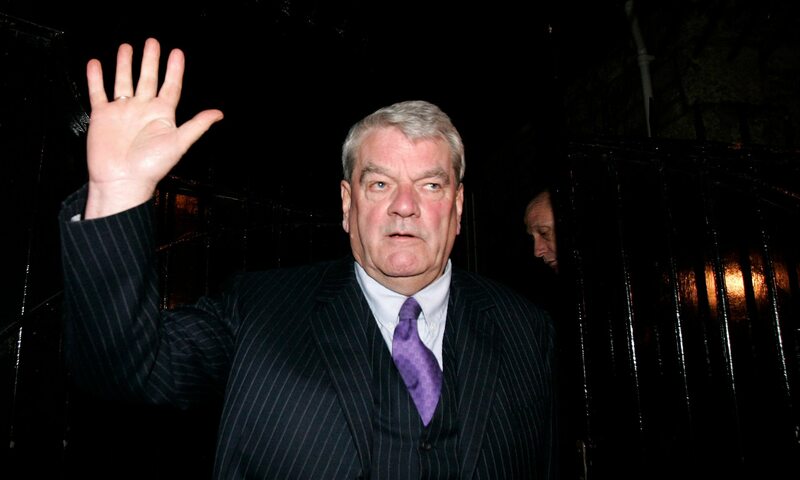 In 1996, the historian Deborah Lipstadt was pursued in the UK courts by the notorious Holocaust denier David Irving, for calling him a falsifier of history in her book Denying the Holocaust: The Growing Assault on Truth and Memory. 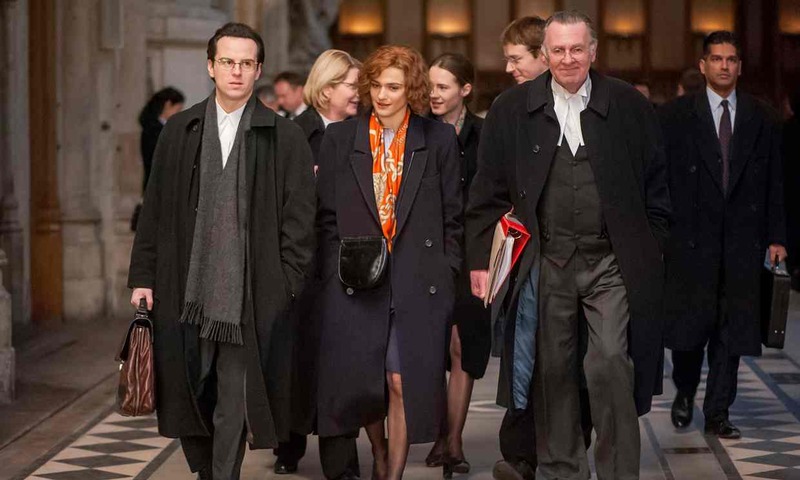 This movie version of those events, written for the screen by David Hare and directed by Mick Jackson, stars Rachel Weisz as Lipstadt and Timothy Spall as Irving; it has been coolly received by some on the festival circuit, its drama dismissed as stagey and flat. I disagree. For me, it has clarity, urgency and overwhelming relevance. Because denial is fashionable again. Irving himself is gloating at the way “alt–right” fascists are threatening to make him and his poisonous flat-earthery acceptable once more. The US president himself believes in “alternative facts”. So for me this film, telling its story with punchy commitment and force, was a breath of fresh air. 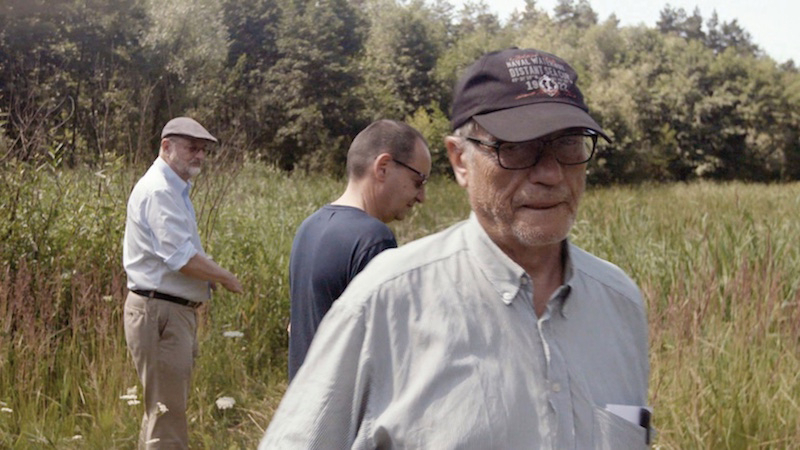 Joseph, one of the two subjects of the documentary, is a nonagenarian Polish Holocaust survivor living in New York. In 1939, just after the Nazi invasion of Poland, Joseph and his father fled Warsaw for the Soviet controlled eastern portion of the country. Upon arriving in Eastern Poland, the two were arrested by the Soviet police and taken by train to a Siberian labor camp (aside from the destination, Joseph’s account of his deportation sounds almost indistinguishable from the stories of Nazi round-ups). When Joseph and his father fled to eastern Poland, they left behind Joseph’s mother and two brothers – only one of Joseph’s brothers, who was sent to Auschwitz, survived the war. In its first ruling on a matter involving a musical instrument, a German panel established to mediate disputes over cultural objects looted during the Third Reich has decided that a Nuremberg foundation should compensate the heirs of a man whose prized 18th-century violin is thought to have been confiscated by the Nazis or lost following a forced sale. In its decision Wednesday, the Limbach Commission said the violin, created in 1706 reportedly by Cremonese violin-maker Giuseppe Guarneri (who is known as ‘filius Andreae’), found that the heirs of Felix Hildesheimer were entitled to a remedy. Mr. Hildesheimer, a German Jew who had run a music business in Speyer, Germany, purchased the Guarneri from Stuttgart violin dealer Fridolin Hamma in 1938. Unable to escape from Nazi Germany, Mr. Hildesheimer committed suicide in 1939 and his family’s property was confiscated. “ I believe my Holocaust memorial in Berlin could no longer be built today,” the architect Peter Eisenman has told Die Zeit. Eisenman says that Europe is now “afraid of strangers”, and he fears that the rise of xenophobia and antisemitism in Europe would make it impossible to build monuments like the vast field of grey sepulchres that he designed as Berlin’s Memorial to the Murdered Jews of Europe, inaugurated in 2005 close to the site of Adolf Hitler’s bunker. When Germany surrendered to the allies in May 1945 a debate was already under way as to how the country should be coaxed back to civilisation. For some it had gone so far down the road to infamy that there seemed no prospect of its being rescued. Others took a more compassionate view, and urged that a huge re-education programme be undertaken to expose German minds to ideas of peace and tolerance. One means of effecting this transformation was culture. Artists and writers would put shoulders to the wheel to help rehabilitate the country and its people – to cleanse its poisoned soul. That was the theory. Lara Feigel’s absorbing book relives the era in all its uncertainty, and delves into the irreconcilable differences and contradictions that would come to thwart the project. One roadblock to the argument for renewal was the dubious efficacy of culture itself. After all, Germany had created, pre-1933, the most advanced and enduring culture in Europe. If the country of Goethe and Beethoven had failed to halt Hitler, what difference could British and American arts possibly make? The question was an especially raw one for those who had seen the concentration camps first-hand. 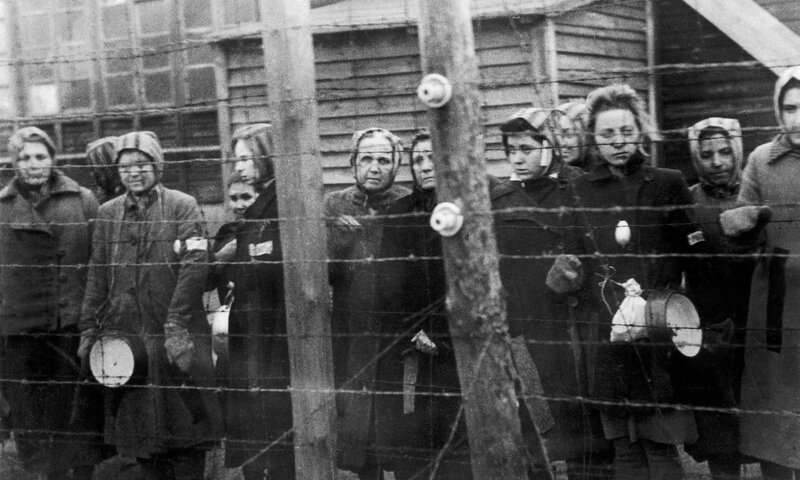 In April 1945 Richard Dimbleby, reporting from Belsen for the BBC, struck a piteous note of horror: the starved inmates “looked so utterly unreal and inhuman that I could have imagined that they had never lived at all”. This central, unfathomable crime of the Nazis haunts those whose experiences Feigel has corralled here; some in fact regarded the entire German nation as complicitous in the crime. Repugnance took on physical symptoms. The photographer Lee Miller, recalling her visit to Dachau, found herself “grinding her teeth and snarling, filled with hate and despair”. Martha Gellhorn, also at Dachau, wrote that she had walked in there “and suffered a lifelong concussion, without recognising it”. ‘To write a poem after Auschwitz is barbaric,” wrote the German critic Theodor Adorno soon after the second world war. 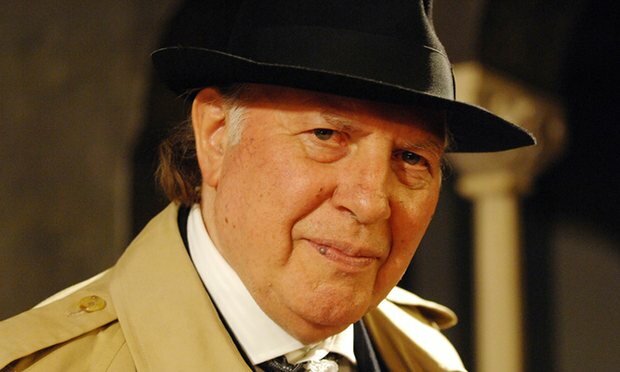 He later modified his statement by saying: “The main question is: can we go on living after Auschwitz?” This was the problem with which the Nobel prize-winning Hungarian Jewish writer Imre Kertész, a survivor of the Holocaust, grappled throughout his life and literary work, until his death at the age of 86. Kertész’s first and most influential novel, Sorstalanság (Fatelessness, 1975), is the story of a 14-year-old boy, Gyuri Köves, who survives deportation to Auschwitz and captivity in Buchenwald, and, on his return to Hungary, finds it impossible to relate his experiences to his surviving family. The book was at first hardly noticed by Hungarian critics and only became a success many years later once it had been translated into German and then, in 2005, made into a film by the Hungarian cinematographer Lajos Koltai. While lacking the biting irony of Tadeusz Borowski’s Auschwitz stories, Sorstalanság differs from most accounts of Nazi concentration camps in its relentless objectivity, and as such is a unique achievement of its kind. Whitehall officials subjected British victims of Nazi persecution to months and sometimes years of oppressive questioning as they applied for German-funded compensation – questioning their harrowing accounts of their experiences in concentration camps, newly released documents reveal. In one case, officials spent years investigating the family background of the renowned secret agent Violette Szabó – the Special Operations Executive agent who was dropped by parachute into France, captured, tortured, and executed in Ravensbruck concentration camp – to determine whether her daughter was entitled to compensation. 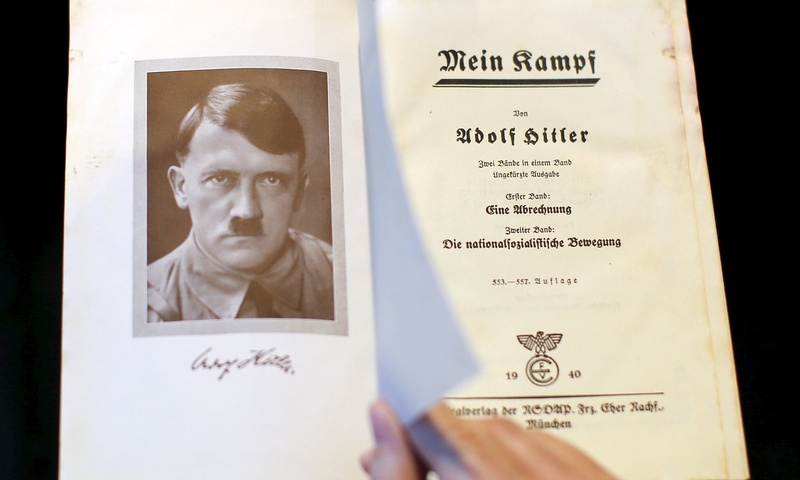 Records of hundreds of claimants incarcerated by the Nazis, many of whom were unsuccessful, were released on Thursday at the National Archives, more than 50 years after the German government agreed to contribute a total of £1m to UK nationals or their dependants. The money was eventually shared among 1,015 individuals. Had it not been for an unguarded conversation between Adolf Eichmann’s son and the Argentinian girl he was dating, the chances are that the shabby “Ricardo Klement” would have lived out his days in obscurity a few miles north of Buenos Aires. Unlike Josef Mengele, the sadistic camp doctor at Auschwitz, who was feted in the more glamorous circles of Argentinian society, Klement was a failure in his adopted country. He ran a laundry business for a while but it went bankrupt. He lurched from job to job. And when he was captured by Mossad agents on 11 May 1960, shuffling home from the bus stop, they couldn’t quite believe that this was the high-ranking Nazi officer who was responsible for the deportation of millions of Jews to the death camps. In other words: not my fault, I was only obeying orders. His self-delusion was unassailable, even at the end. Eichmann’s request was denied and two days later he was hanged in Ramla prison. In her famous account of the trial, the philosopher Hannah Arendt described Eichmann as a small-minded functionary, more concerned with the managerial hows of his job than the moral or existential whys. According to Arendt, Eichmann wasn’t a man for asking difficult questions, he just got on with the job of managing timetables and calculating travel costs – thus her famous phrase “the banality of evil”. Do we need to rethink how we teach the Holocaust? 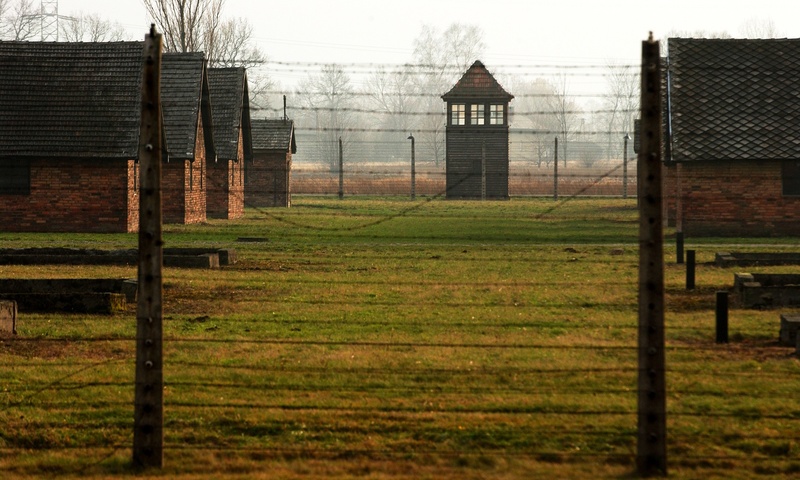 Many peo ple argue that it is crucially important for young people to learn about the Holocaust to prevent racism and prejudice in the present day. But in a focus group interview exploring secondary school students’ attitudes to the Holocaust, Ella, a year 12 student from Peterborough turned that idea on its head. “I didn’t stop being racist because of learning about the Holocaust … I’ve always not been racist,” she said. Ella is one of more than 9,500 students consulted by University College London (UCL) researchers as part of a three year-long national study looking at secondary school students’ knowledge and understanding of the Holocaust. This study (launched by the UCL Centre for Holocaust Education) drew primarily on survey responses from almost 8,000 young people and interviews of nearly 250 students. It aimed to find out what young people should know about the Holocaust and why. The Holocaust has been part of the national curriculum since the early 1990s, but many teachers are uncertain about what the educational aims of teaching this subject should be and what content to include or to prioritise, especially when faced with limited time and a packed curriculum. The centre’s earlier study, Teaching About the Holocaust in English Secondary Schools, found that in a variety of subjects teachers’ intentions were most likely to enable students to understand the ramifications of racism, transform society and learn the lesson of the Holocaust to ensure it never happens again. However, as the study went to argue, such universal, trans-disciplinary aims are difficult both to assess and to translate into pedagogical practice. This paper reflects upon how historians have conventionally considered the memory of wartime bombing as a set of narratives about historical events that gained cultural power in the post war era. Revisiting critically my own previous work on the city of Nuremberg I seek to explore in this paper how this memory of the bombing as event has obscured other memories present in the city after 1945 – most obviously memories of the city itself. I argue, therefore, that historians should think not only about the memory of the event, but also the memory of place, literally, in the sense of its physical and material substance, and more metaphorically, in the sense of a series of different life-worlds that were now the object of nostalgic affect. In 1946, Nuremberg’s schools inspector Otto Barthel had local school children write essays on their wartime experiences. They were also asked to fill in questionnaires which specifically addressed political attitudes of the young. About 3,000 pupils submitted their work. 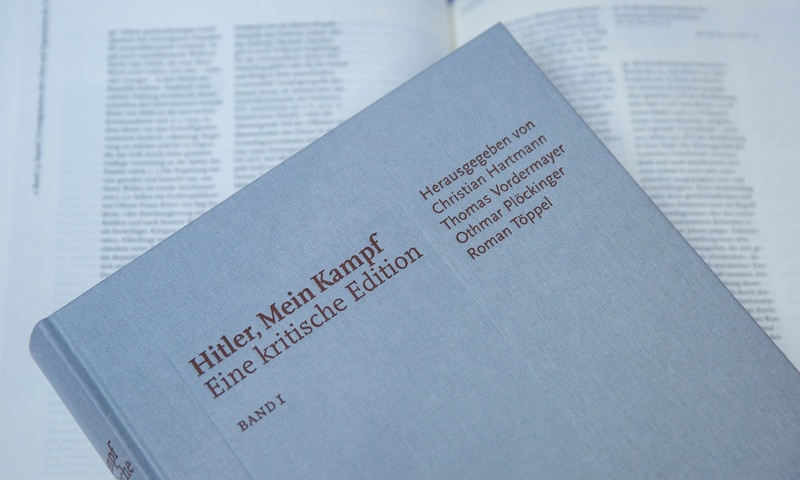 The texts tell a complex story about the thoughts and feelings of German adolescents in the early postwar period, demonstrating the ideological influence of National Socialism, trauma suffered during the war, as well as the shock, frustration, and desorientation after the collapse of the Third Reich. The pupils’ submissions are comparable in terms of their dominant themes such as the evacuation scheme KLV, the fate of male relatives, Allied bombings, the end of the war and the city’s occupation, or problems and hardships characterizing postwar life. Of these topics, the descriptions of experienced air raids are the most visceral; they also clearly dominate the essays penned on ‘An unforgettable experience’. This talk will argue that whilst the stories of the young differ considerably in terms of content, evaluations of events and narrative coping strategies, there is much less diversity when it comes to memories of the bombings, which indicates that these memories united the otherwise quite diverse young postwar generation. 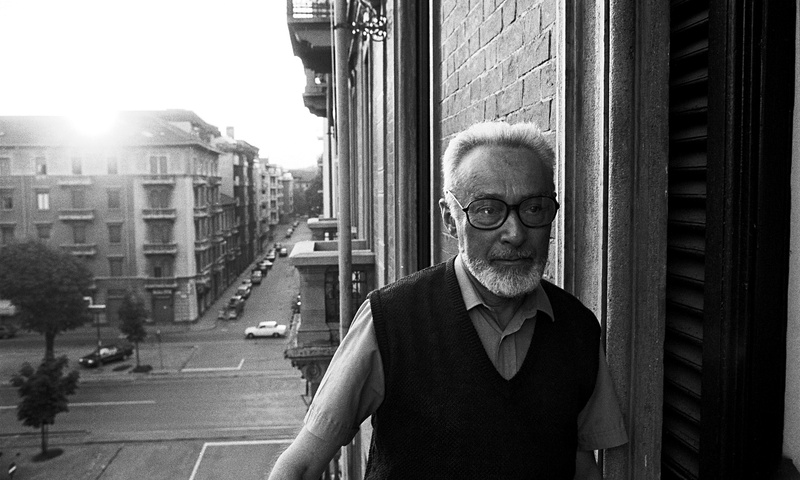 The Complete Works of Primo Levi is far more than a welcome opportunity to re-evaluate and re-examine historical and contemporary plagues of systematic necrology; it becomes a brilliant deconstruction of malign forces. The triumph of human identity and worth over the pathology of human destruction glows virtually everywhere in Levi’s writing. For a number of reasons, his works are singular amid the wealth of Holocaust literature. First is his language – infused as it is with references to and intimate knowledge of ancient and modern sources of philosophy, poetry and the figurative uses of scientific knowledge. Virgil, Homer, Eliot, Danteand Rilke play useful roles in his efforts to understand the life he lived in the concentration camp, as does his deep knowledge of science. Everything Levi knows he puts to use. Ungraspable as the necrotic impulse is, the necessity to “tell”, to describe the “monotonous horror of the mud”, is vital as he speaks for and of the millions who died. Language is the gold he mines to counter the hopelessness of meaningful communication between prisoners and guards. An example of this is the exchange, recounted in If This Is a Man, between himself and a guard when he breaks off an icicle to soothe his thirst. The guard snatches it from his hand. When Levi asks why, the guard answers: “There is no why here.” While the oppressors rely on sarcasm laced with cruelty, the prisoners employ looks and glances to gain clarity and meaning. Although photographs of troughs of corpses stun viewers, it is language that seals and reclaims the singularity of human existence. איך פֿאַרנעם זיך מיט שפּראַך כּמעט מײַן גאַנץ לעבן, דער עיקר, מיט לשון ייִדיש. און וויפֿל איך זאָל זיך נישט אַרײַנלאָזן אין ענגליש, טראַכט איך, אַז אויף ייִדיש קלינגט עס בעסער. אַלע שפּראַכן זײַנען מישלינגען און דאָס מוז מען גלײַך עטאַבלירן בײַם סאַמע אָנהייב פֿון לערנען אַ שפּראַך. דאָס גלייבן, אַז עס זײַנען פֿאַראַן שפּראַכן וואָס זײַנען מער געהויבן, וויכטיקער, מער פּרעסטיזשפֿולw איז נישט מער ווי אַן אויסגעבלאָזן איי, נישט באַזירט אויף קיין שום אַבסאָלוטע לינגוויסטיש־עמפּירישע פֿאַקטאָרן. מען קען אַמאָל אָפּשאַצן אַ שפּראַך לויט איר עלטער, אָדער לאָגיק, לויט איר מוזיקאַלישקייט אָדער ראָמאַנטישער גענייגטקייט; מ’קען זי באַקרוינען ווי די שפּראַך פֿון געטער, אָדער אַ שפּראַך, וואָס לייגט זיך גרינג אויף דער צונג; אַ שפּראַך, וואָס איז מעכטיק אָדער אָנמעכטיק, אָבער קיין איין שפּראַך פֿאַרדינט זיך נישט מען זאָל זי גרינגשעצן, מאַכן צו קליין־געלט, אָדער אויסשטעלן זי אויף לײַטיש געלעכטער, ווי עס טוען עס די אַמעריקאַנער קאָמעדיאַנטן, ווען עס קומט צו ייִדיש. די מענטשן וואָס רעדן אַראַביש, זײַנען אונטערן אײַנדרוק, אַז זייער קלאַסישע שפּראַך איז די שענסטע און די לאָגישסטע פֿון אַלע, מיט אומפֿאַרגלײַכלעכער גראַמאַטישער סימעטריע און לעקסישער רײַכקייט. דאָס קלאַסישע אַראַביש איז געקניפּט און געבונדן מיטן קאָראַן, און במילא מיט זייער גלויבן. דורך זייער שפּראַך דערוואַרטן זיי צו דערגיין דורך ניסים־ונפֿלאות צום סאַמען תּוך־אמת פֿון איסלאַם. Man’s Search for Meaning, Viktor Frankl’s account of his attempts to rationalise the Holocaust, has been optioned for a film adaptation, according to Deadline. His book detailed the psychological reactions that an inmate progressed through during their time in the camps and how their behaviour changed if they survived and were liberated. He argued that men were “decent” or “indecent” regardless of their station. So a Nazi guard who showed kindness could be a decent man, while an inmate who exploited his fellow prisoners for personal gain, could be indecent. Interesting film review, including useful contextualisation of the Allies’ knowledge of concentration camps in 1944-45. Well worth a close read. The idea that the Holocaust defeats attempts at artistic dramatization—that it constitutes, in Andreas Huyssen’s words, “unimaginable, unspeakable, and unrepresentable horror”—has a particular force in the world of music. While there are any number of symphonic and choral meditations on the Holocaust, operas on the subject are rather rare, not least because the larger-than-life gestures native to the genre can seem inapt. Furthermore, because of associations between Wagner and the Nazi regime, the very vocabulary of post-Wagnerian opera may appear to be implicated in the genocide. Mieczysław Weinberg’s 1968 opera “The Passenger,” which the Lincoln Center Festival is set to present at the Park Avenue Armory, is not a flawless work, but it comes closer than any other extant opera to overcoming the challenge of placing the Holocaust onstage. For one thing, Weinberg, who came from a Polish-Jewish family, knew whereof he wrote; he fled from Poland to the Soviet Union in 1939, and his father, mother, and sister were all murdered by the Nazis. When the orchestra in “The Passenger,” heavily influenced by Shostakovich, presents an ironclad, destructive edge, one senses that Weinberg is working from firsthand impressions. At the same time, the libretto, which Alexander Medvedev adapted from a story by Zofia Posmysz, is not so much a direct dramatization of the Holocaust as a study in trauma and memory: on an ocean liner, a former Auschwitz overseer thinks she sees a survivor from the camp, and experiences a series of flashbacks. Finally, the question of music’s own role in the catastrophe is incorporated into the action. A wrenching scene toward the end, depicting a concert at the camp, pits Bach’s Chaconne in D Minor, for solo violin, against an overpowering orchestral mass. The lonely, lamenting notes of the Bach are snuffed out one by one. Coinciding with the release of his first (and apparently only) memoir, Dossier K, earlier this year, Daniel Fraser considers the writing and the life of Hungarian Nobel Prize-winning author Imre Kertész. Mexico City, Aug 13 (EFE).- The opera The Emperor of Atlantis, composed in a Nazi concentration camp by Austria’s Viktor Ullmann, brought its satirical indictment of Nazism to Mexico for the first time, singer Jose Adan Perez said Tuesday. ‘Holocaust’ music: Art or history? Years have passed since the nightmare, but labeling music is still a thorny and controversial topic. Today, there are many and various ongoing efforts to return so-called “degenerate” music to the canon. What’s controversial is how to define this music. The term “Holocaust music” signals the general theme to people who might not know what “degenerate music” is. But in working to revive or remember art under such a sensational and clumsy rubric risks diminishing composers’ artistic achievement in favor of their historical importance: privileging artifact over art. A recent wave of performances turns Jewish composers into shadow images defined only by their status as Hitler’s victims. PRAGUE—In a concentration camp designed by the Nazis to eradicate Jewish cultural life, among 120,000 of its inmates who would ultimately be murdered, a rising young musician named Rafael Schachter managed one of the miracles of the Holocaust. Assembling hundreds of sick and hungry singers, he led them in 16 performances learned by rote from a single smuggled score of one of the most monumental and moving works of religious music—Giuseppe Verdi’s Requiem Mass. Jacobs, now 84, was one of hundreds of Jewish pensioners who gathered on Sunday to honour those who helped them escape Nazi persecution, on the 75th anniversary of the establishment of the Kindertransport – the rescue mission that saved their lives. In the final months before the war, the British parliament took the extraordinary step of accepting 10,000 children from across Europe, who traversed the continent by train and arrived by boat in British ports. In a controversy that has embroiled many of the leading Holocaust remembrance organizations, a man once hailed as the “Italian Schindler” may have actually been a Nazi collaborator who did little to save the lives of imperiled Jews. For decades, Giovanni Palatucci has been heralded as a hero who died fighting against Benito Mussolini’s fascist regime in Italy, and who used his status as a police chief to save thousands of Jews in his hometown. But according to research conducted by historians at the Centro Primo Levi at the Center for Jewish History, very little of this legacy is based in reality. According to the researchers, Palatucci was a relatively low-level officer who worked with the Nazis to help identify Jews who would eventually be shipped to death camps. Writer Denise Grollmus goes on a personal journey of Jewish discovery in Poland, the country where 3 million Jews were murdered by the Nazis during the second world war. Denise Grollmus grew up in the US, and was especially close to her grandmother, a Polish Catholic from Warsaw. Or at least, that’s who she said she was. On her 28th birthday, Denise discovered that her grandmother had been keeping a secret – that she was, in fact, a Jew who had changed her identity during the war and then continued to keep her Jewishness hidden for almost 70 years. That discovery instantly made Denise Jewish, too. Denise has spent the last year living in Poland, on a quest to understand what exactly it means to be Jewish in a country regarded by many as a byword for deeply rooted antisemitism and still feared by many Jews as little more than an enormous graveyard. Muslim leaders from around the world have taken part in an unprecedented trip to Germany and Poland to see and hear for themselves about the horrors of the Jewish Holocaust. The 11 imams, sheiks and religious teachers from nine countries met a Holocaust survivor and Poles whose families risked execution to save Jews from the Nazis, in the Polish capital’s Nozyk Synagogue as part of the tour. They have been around museums, including the recently opened Museum of the History of Polish Jews on the site of the former Jewish Ghetto in Warsaw. 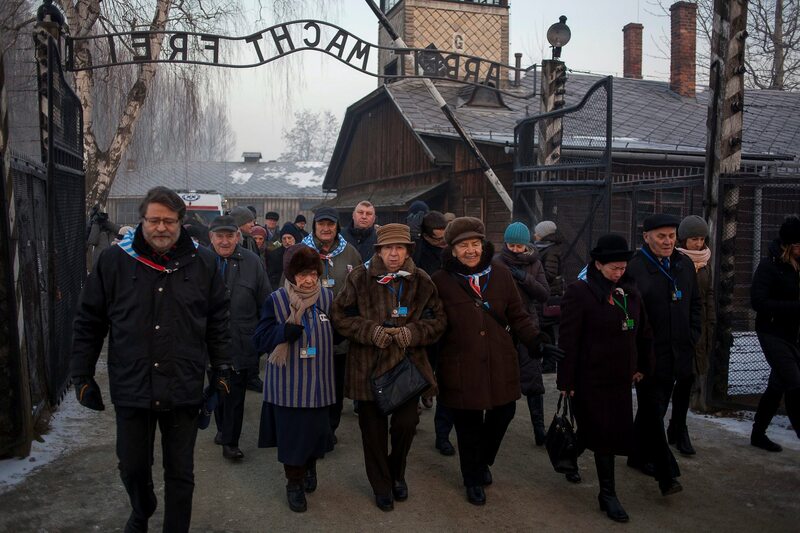 And they also visited the Auschwitz and Dachau concentration camps. Germany recognizes and will provide compensation to Holocaust survivors who were children during the war, for their “lost childhood,” the Center of Organizations of Holocaust Survivors in Israel announced this week. The move was the result of negotiations recently held in Jerusalem between representatives of the Claims Conference as well as heads of NGOs dedicated to survivors and a senior delegation from the German Finance Ministry. 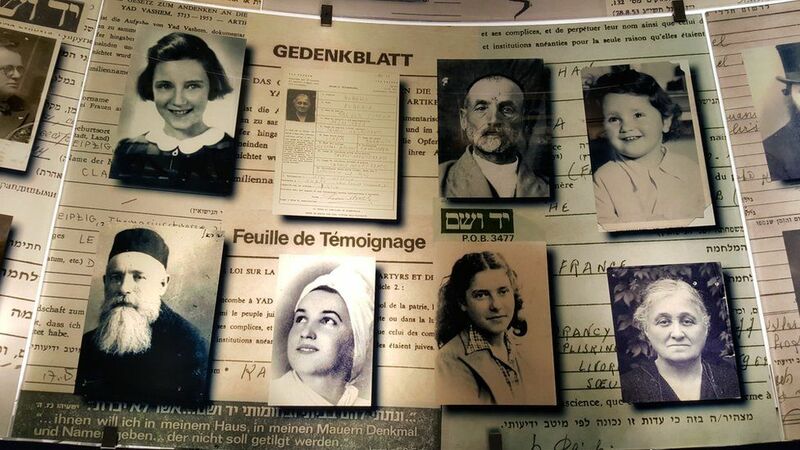 The survivors concerned include those born between January 1928 and May 1945, for whom the first period of their lives would have been under the Nazis or allies of the Nazi regime. A controversial production of a Wagner opera at one of the major German opera houses has been cancelled because of harrowing scenes involving Nazis. The Rheinoper, based in Dusseldorf, said some of the audience had to seek medical help following early performances of Tannhauser. But the producer “refused” to tone down the staging, set in a concentration camp during the Holocaust. Iby Knill vowed she would tell the world what she had seen at Auschwitz. And now her story will forever be told at museums across Europe thanks to a young filmmaker from Teesside University. [BBC News website: April 19th] A major ceremony is under way in the Polish capital Warsaw to honour Jews who fought overwhelming Nazi German forces 70 years ago in the Warsaw Ghetto uprising. 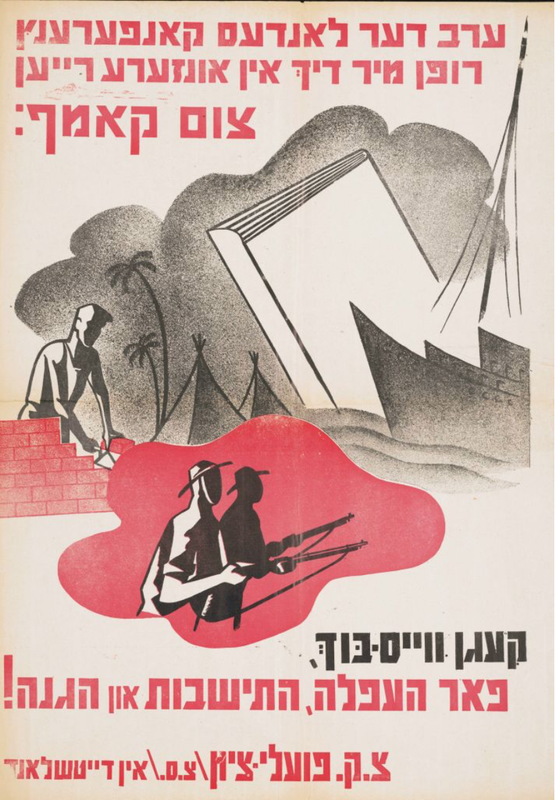 The Yiddish term yizker-bikher (sg., yizker-bukh) has come to refer primarily to a vast body of memorial books commemorating Jewish communities destroyed in the Holocaust, primarily from prewar Poland though also throughout Eastern Europe (similar works have been created for other parts of Europe and the Mediterranean region). 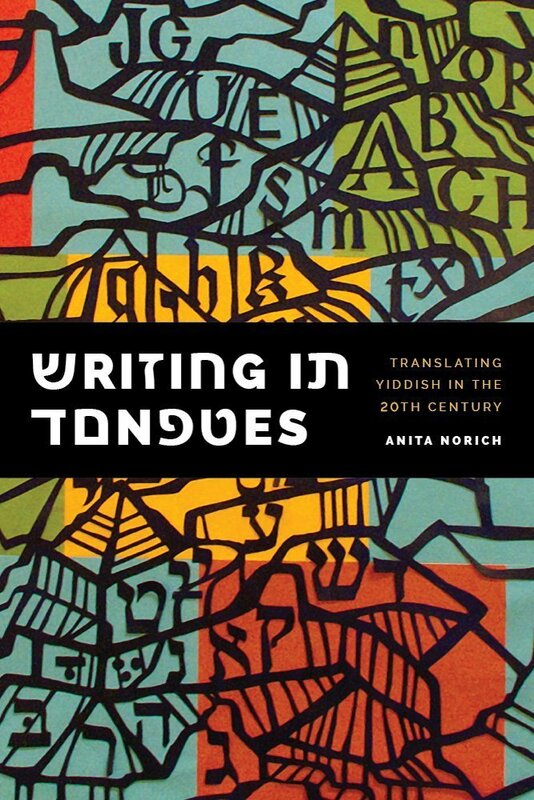 Survivors and émigrés from various communities that have organized landsmanshaftn(associations of Jews from the same hometowns abroad) in the United States, Israel, and elsewhere have produced many hundreds of such books, generally in Yiddish and/or Hebrew. The Yivo Encyclopedia of Jew in Eastern Europe (ייִװאָ-ענציקלאָפּעדיאַ פֿון ייִדן אין מיזרח-אײראָפּע) conmtains many useful historical maps, including histories of the Pale of Dettlement, Holocaust maps, maps of shtelekh, towns and cities with Jewish populations before the Holocaust. Click here to acces them. By the later sixteenth to early seventeenth centuries in Bohemia and then in the Polish–Lithuanian Commonwealth, Jewish musicians began to form their own guilds. The formation of guilds raised the social status of Jewish musicians, and led to the abandonment of the older termleyts (scoffer, clown), applied in Central Europe to singers, instrumentalists, clowns, and dancers, in favor of the new, more respectable term klezmer (from kele zemer, musical instruments or vessels of song; pl., klezmorim), designating exclusively an instrumentalist. The term klezmer made its way to Germany only in the eighteenth century, with the influx of Jewish musicians from Bohemia and Poland. Klezmerwas a more favorable term for a Jewish musician, in contrast to the derogatory muzikant. This distinction persisted until the later nineteenth century, when Jews gained admission to conservatories in Russia and Austria-Hungary in significant numbers.